Many people have praised “Detective Dee and the Mystery of the Phantom Flame” as the long-awaited comeback of legendary director Tsui Hark when in fact it’s just another example of everything that’s wrong with Asian cinema. It’s way too long and feels even longer, the plot is incomprehensible at times, and the tone is all over the place. This is a movie that has its hands in some many different genres (from wu xia, to supernatural thriller, to detective story, and historical epic) that it never really creates its own identity. Set in the late 7th Century on the eve of the coronation of China’s first female emperor, the film follows renowned detective Dee Renjie (Andy Lau) as he’s called into action to solve a mystery involving the deaths of several of the empress’ most trusted officials. The men have all been killed by spontaneously bursting into flames, and though some believe it’s the work of divine intervention, Detective Dee knows that there’s someone of flesh and blood behind the murders. But in order to crack the case, Dee teams up with the empress’ favorite enforcer (Bingbing Li) and an albino official (Chao Deng) to help with investigation, neither of whom he trusts. 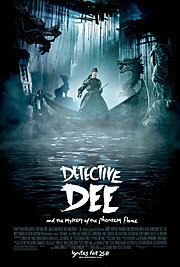 Though he’s been referred to as the Asian equivalent of Sherlock Holmes, Detective Dee’s first cinematic adventure isn’t nearly as entertaining as it should be. The potential was certainly there (especially with a great actor like Andy Lau in the lead role), but the film is sorely lacking the wit and complexity that’s made Holmes such an engaging character for all these years. When Lau gets the chance to inject a little humor into the story, it’s actually quite fun, but Hark abandons that comedic tone early on and the movie never really recovers from it. Add to that some surprisingly dull action sequences and subpar special effects, and “Detective Dee and the Mystery of the Phantom Flame” fails to be anything more than another great concept thwarted by an industry that favors quantity over quality. Weekend box office preview: Will “The Roommate” breach “Sanctum”? Does anyone care? 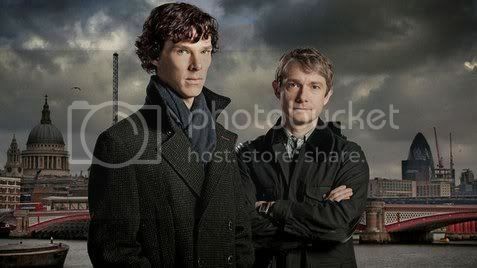 The characters of Sherlock Holmes and his trusty associate Dr. John Watson have been interpreted every which way but loose since their original inception in 1887, courtesy of Arthur Conan Doyle, and with Guy Ritchie’s take on the Holmes mythos having only just hit theaters last year, it would seem to be a bit premature to put Baker Street’s most famous detective onto the small screen as well…but, then, “Sherlock” – premiering here in the States as part of PBS’s “Masterpiece” on Sunday, Oct. 24, bears precious little resemblance to Robert Downey, Jr.’s big-screen adventure. This is a modern-day look at the characters and their mythology, and for those who might be skeptical that they can successfully survive such a transformation, I believe you’ll be pleasantly surprised. I’ve only seen a portion of the first episode (“A Study in Pink”) thus far, but it was more than enough to sell me on tuning in on the 24th. Mind you, I also had the advantage of sitting down with the series’ executive producers, Steven Moffat and Mark Gattis, whose enthusiasm for the project proved decidedly contagious. Steven Moffat: Oh, thank you. Oh, good! 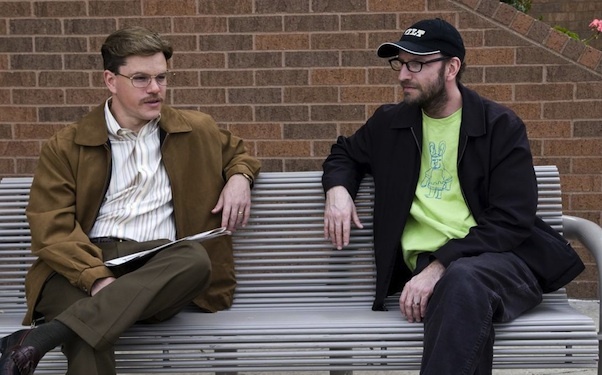 BE: …and, Mark, I didn’t realize it at the time, but I now know that you made an appearance in that series. 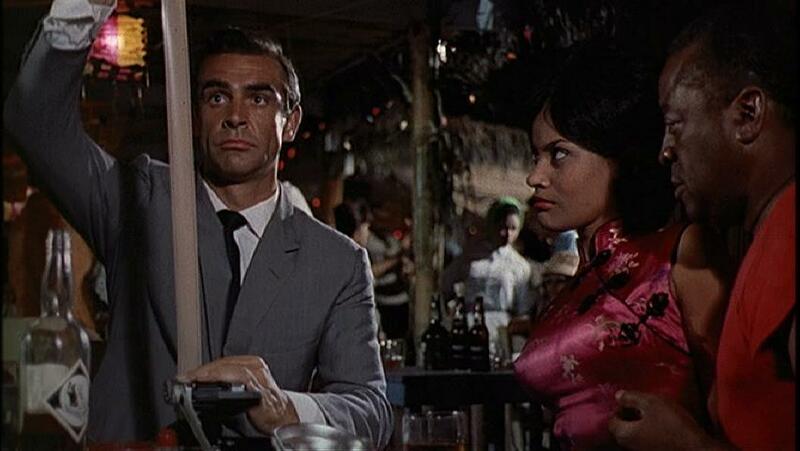 BE: So, Steven, what do you enjoy about the challenge of contemporizing British icons? I mean, you can argue that Dr. Jekyll is an icon of sorts, but then you’ve got Doctor Who, and now Sherlock Holmes. SM: Well, being honest, for me, there isn’t really…it looks like there’s a narrative through that, that I’m trolling for things, but I’m really, really not. “Jekyll” was a totally different experience to this, the one big difference being that it was a sequel set in the modern day. 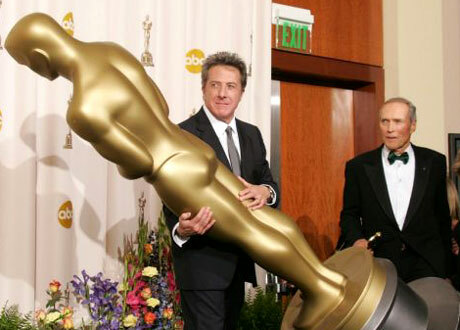 And, really, it looks as if I’ve just been doing that, but, really, seriously, it wasn’t that. This is a completely different experience, and the challenge of this…well, they’re just joys, aren’t they? SM: There are so many things that…well, once having started talking about this, we realized it was going to work, because he can still be coming home from Afghanistan, a flat share is what we now call sharing rooms, we’ve gone back to sending telegrams by sending texts…it’s just perfect. When a movie makes as much money as “Sherlock Holmes” did at the box office (certainly not “Avatar”-sized numbers, but still respectable for its budget), you expect the studio to reward its audience with some cool DVD bonus features. Unfortunately, that isn’t the case here, as Warner Brothers has only included a 14-minute making-of featurette called “Sherlock Holmes: Revisited” that, although not as shallow as the typical EPK, doesn’t go into nearly enough detail for being the only extra on the disc. 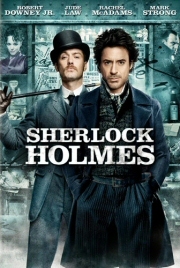 Among the topics discussed include how this rendition of Holmes is actually closer to Arthur Conan Doyle’s original vision; Guy Ritchie’s originally plans to cast an actor in his late 20s to play the title character before meeting Robert Downey Jr.; and why Jude Law’s Watson is unlike any other we’ve seen before. In other words, it’s information that anyone following the film would have already read about, rendering the featurette fundamentally pointless. It’s a real shame, too, because there had to be some other bonus material (like bloopers or deleted scenes) sitting around in the vault that fans would have liked to have seen. Though the Blu-ray edition gets the added incentive of WB’s awesome Maximum Movie Mode, even that seems a bit light for such a major release. The history behind Holmes is simply too rich to receive such a lackluster treatment, and though I’ve never been a very big proponent of studio double dips, this time around, it’s almost necessary to make up for such a major blunder. Tags: Arthur Conan Doyle, Guy Ritchie, Jude Law, Maximum Movie Mode, Sherlock Holmes, Sherlock Holmes DVD review, What Else Ya Got? Yes, my friends, the action starts right here, right now, right after the jump. New comments will go above older remarks, so if you’re reading this later and want to start at the beginning, you’ll scroll down to the end. Got that? Good. Let’s hope for an interesting night and don’t forget to keep refreshing — the page and yourself with the commestibles of your choice.